!! OMG, how political: Sonic Youth !! 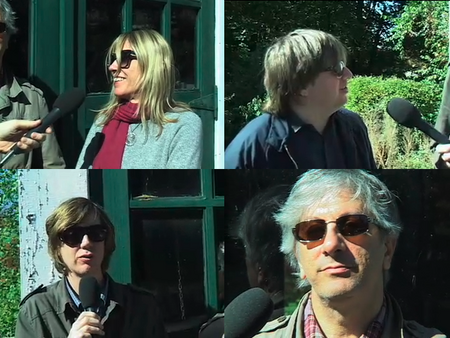 In their own “town hall” debate, the members of Sonic Youth candidly discuss who they’re voting for and why. I think it’s more of an agreement than a debate, but who cares? See the whole discussion HERE on ECSTATIC PEACE. Also, on a side note, I might be watching Glitter while I’m writing this. Just so you know. 1 Comment on "OMG, how political: Sonic Youth"
OMG, Sonic Youth = So not Youthful!